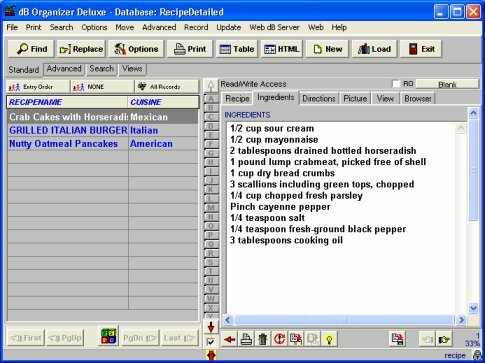 Complete software template that allows recipe collectors, and chiefs to organize, catalog, and manage their recipe collections on their computers. 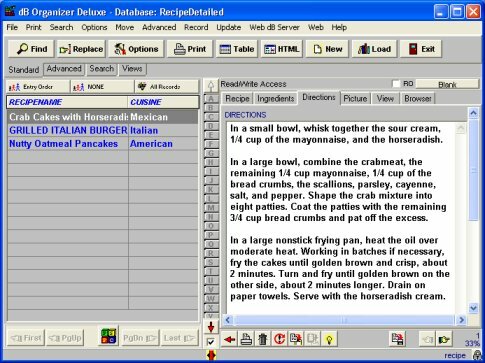 The template already includes about 2000 recipes. 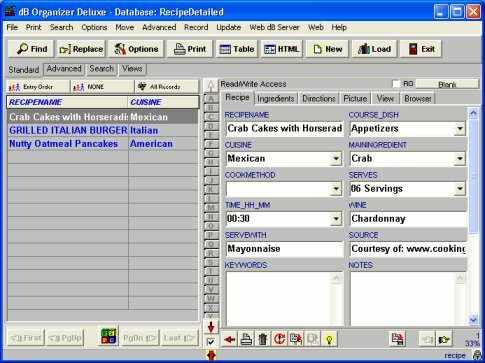 Manage your recipe information including recipe title, recipe type, cuisine, main ingredient, cooking method, ingredients, description, note, meal picture, and more. access and view your recipes in virtually any way.